Did you know you can record 2 separate audio sources simultaneously to iPad via Lightning to USB? 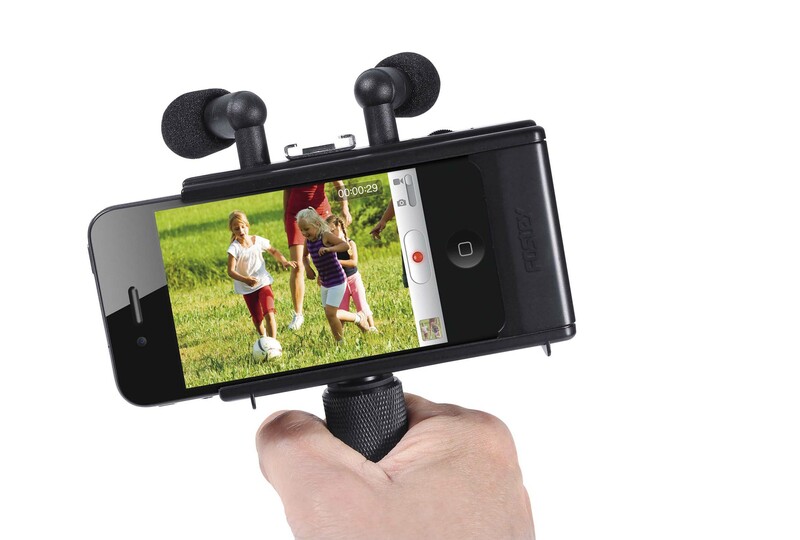 You can with this and it works for iPhone too! Since posting this, several people have tweeted alternatives they think should be included so here are the additional suggestions. Note some of these are designed as Pro-Grade audio interfaces specifically for radio applications, I have tested NONE of these though some of the manufacturers have contacted me asking do I want to test them out. Where that is the case I have accepted the offer and will review/compare once the devices arrive. You may remember the Fostex AR4i – it was my GO TO accessory for iPhone Mojo back in the very early days of the RTE project. However, it was a negative experience on the first ever Circom mojo course in Budapest 2012 that forced me to abandon it as several of the journalists using the Ar4i returned with mute audio – a fault, as we discovered, in the connection to the 30pin dock connector – if it is not absolutely 100% connected and secure the phone records nothing BUT the AR4i gives you audio monitoring nonetheless. 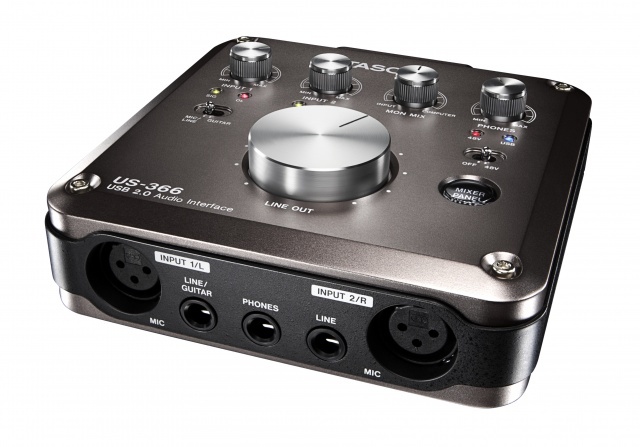 Tascam joined the stereo input game a little later with the release of the iXJ2 adapter – again for the 30pin connector- this is now discontinued. 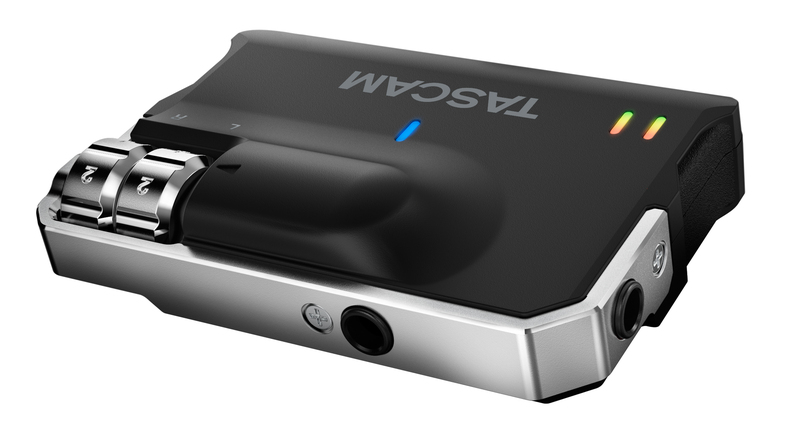 Both of these devices would allow you to connect two TRS mini jack audio accessories into your iPhone to enable stereo recording and unlike the Ar4i, the iXJ2 had discreet level controls for each input. 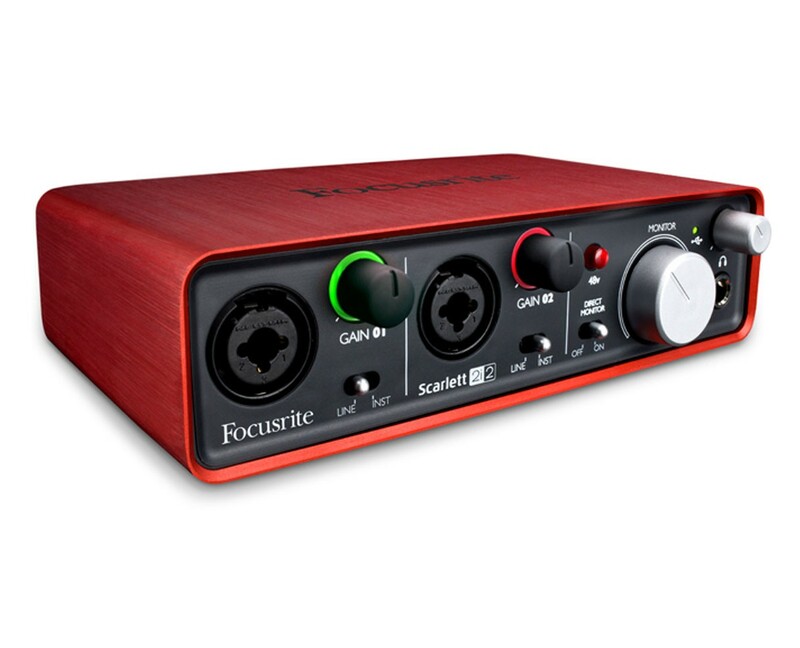 When Apple released the iPhone 5 with the new Lightning connector-the ability to record two separate sources in stereo vanished – until Fostex returned with the Ar101. The Ar101 like its predecessor could take two separate mini jack inputs but the single control dial it came with was less than ideal and I found early tests with a beta version of the device quite frustrating. 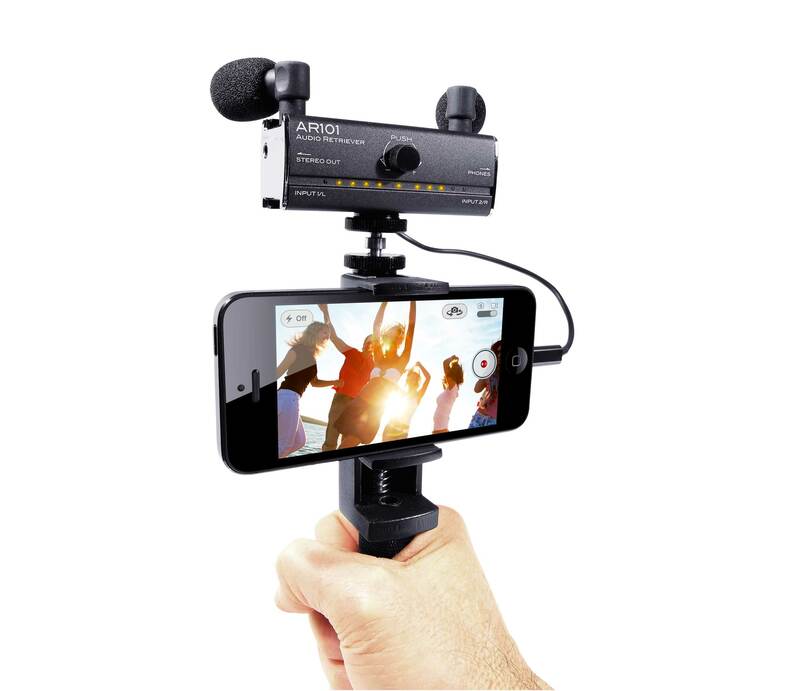 I will confess I haven’t tested the AR101 since its official release and I would be curious to hear from any users on its strengths and weaknesses but as we approach the imminent launch of the iPhone 6 it did strike me that there is no device (I’m aware of) which gives you STEREO XLR in to the iPhone. I thought for a while that either Rode Microphones or IKMultimedia might decide to pursue this market but to date – no joy. 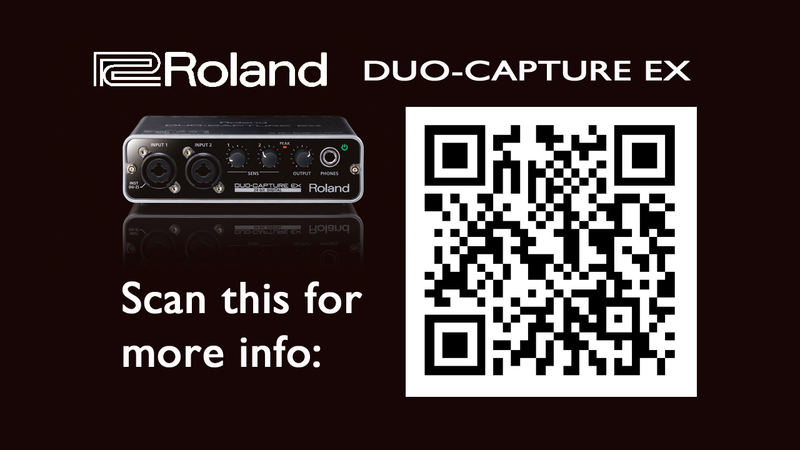 The Roland Duo-Capture EX, is a 24 bit Stereo Digital Audio Interface for PC, Mac and iPad. I spent some time today testing the DUO-CAPTURE with various Apps I use as part of my Mojo Workflow-with some interesting results! 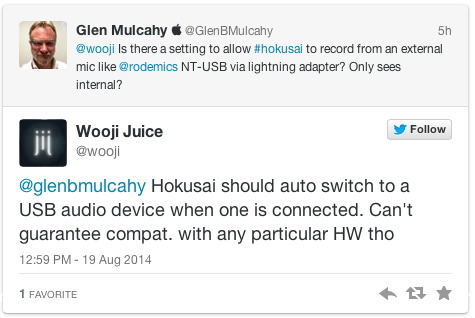 * I tweeted Wooji Juice, the developers of Hokusai to enquire about USB support and they said it should work -but it didn’t in my test. 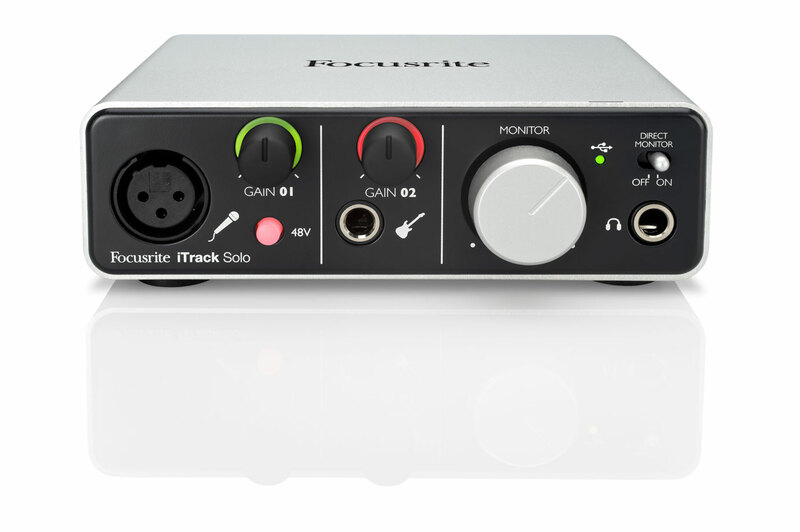 I should at this point highlight the fact that there are other USB audio interfaces available that will do a similar job to the Roland Duo, for instance this one from PreSonus- the AudioBox iTwo. 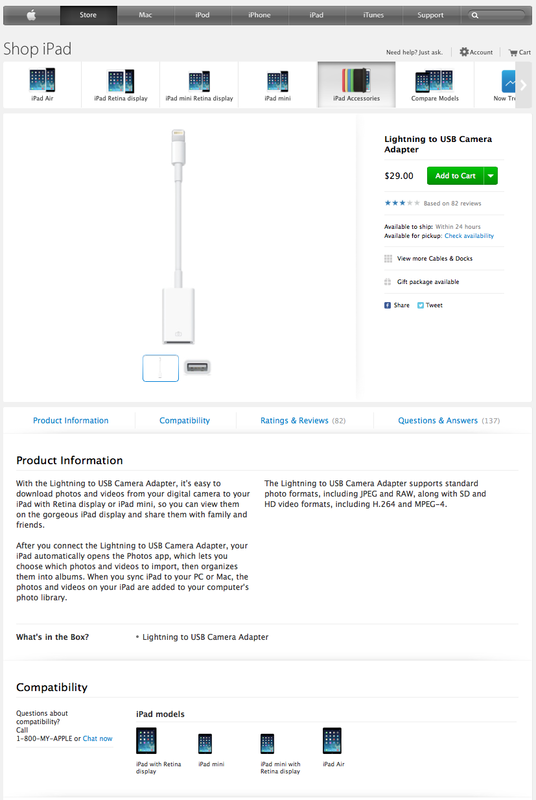 Note on the back of the the device is says MFi (made for iOS devices- Apple certified accessory program). I don’t have one of these to test an compare but if any of you do – I would love to hear your thoughts. There are two main scenarios for when this is useful and let me say before I get berated for suggesting mojos carry even more gear- (arguably further defeating the “in your pocket” mantra), the uses cases will be rare enough. 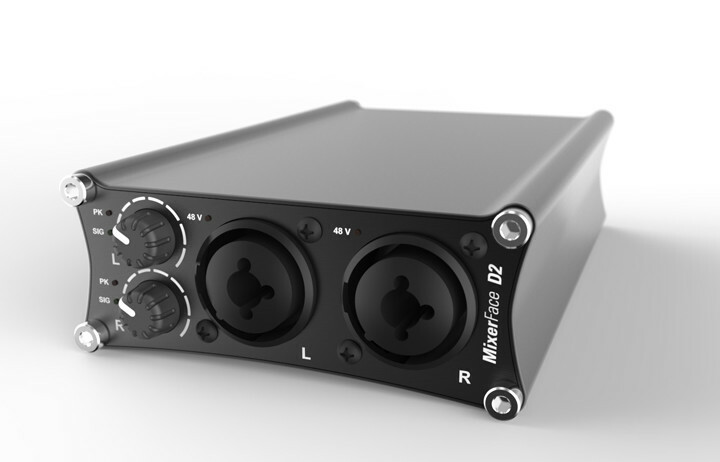 Its just good to know it is possible for when the need arises and bear in mind it can be used for audio OR video stereo recording.